Officially licensed decal. Multi use decals stick to multiple surfaces and are removable and reusable. These have unique cut to logo shapes. These versatile decals can be used indoors or outdoors and will not leave a residue when removed. Made in the USA. Prices shown are for (1) single decal. Discounted prices are: 6 decals @$4.55 ea / 24 decals @ $4.25 ea. 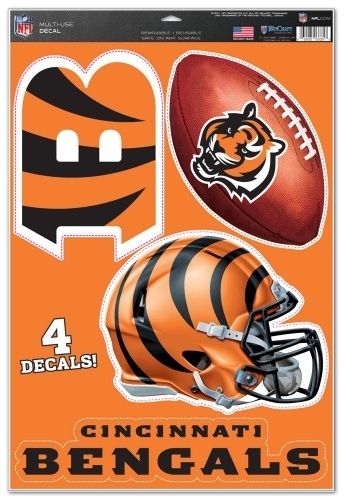 / 48 decals @ $4.05 ea. Mix or match between all sports and teams.